12 miles and no knee pain! On Friday night Adam and I had a great date night. We had $50+ in Chilis gift cards and ate very good! Unfortunately my knee was bothering me sooooo much. I was uncomfortable just sitting in the booth… which was a lightbulb moment for me. I don’t think I actually have a knee injury, it’s probably just my sciatica acting up. It hasn’t bothered me in so long that I almost forgot all about it. 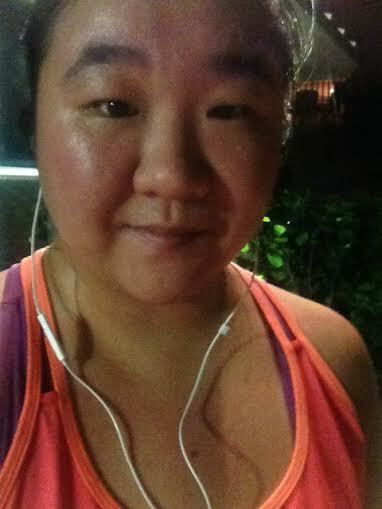 I ended up doing my 12-mile run yesterday and my knee didn’t really bother me at all. So now I feel even more sure that it’s the sciatica and not a knee problem. This is really good news because I can manage the sciatica, and I know it won’t affect my ability to run the Princess Half next month. Phew. On Saturday I went to the mall to do some clothes shopping. Unfortunately it seems like all the stores are in transition. I saw tons of sales on winter clothes but not a lot of spring clothes were put out yet. I ended up getting an okay green top (I probably wouldn’t have bought it on any other day, but I didn’t want to go home empty handed). 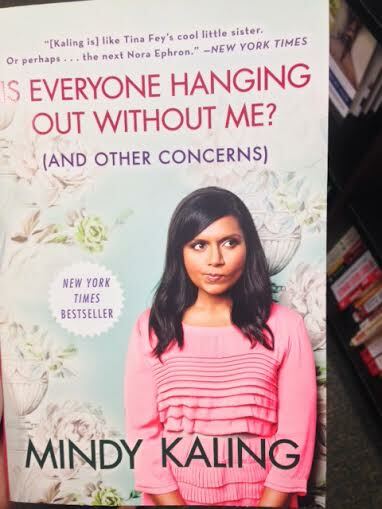 I am now trying to finish reading Is Everyone Hanging Out Without Me by Mindy. I bought it through Kindle a while ago and have been reading it on and off. I thought I would love it but I didn’t… until yesterday. Adam and I went to Barnes and Noble and I decided to try reading the hard copy. I don’t know if I just liked having the feeling of a book in my hands or the book actually started getting better, but I’m really enjoying it now. Thank goodness because not liking something Mindy made was causing me anxiety. Latest book you’ve read/are reading? Do you prefer reading through kindle or holding a hard copy of the book in your hands? Previous Post Back at it! Yay for no knee pain! When I sit too long on a bus or airplane, my knees always tense up and I have to walk it off afterwards. Weird, but as long as it does not bother me when running, I’ll take it! The body was just not meant to sit still for long periods! I think that’s why stretching after laying or sitting for a long time feels sooooo good. Wahoo for your knee! I would much prefer a hard copy book. No kindle yet… prob won’t get one due to my love of a good old fashioned book! Cecil… bad kitty! 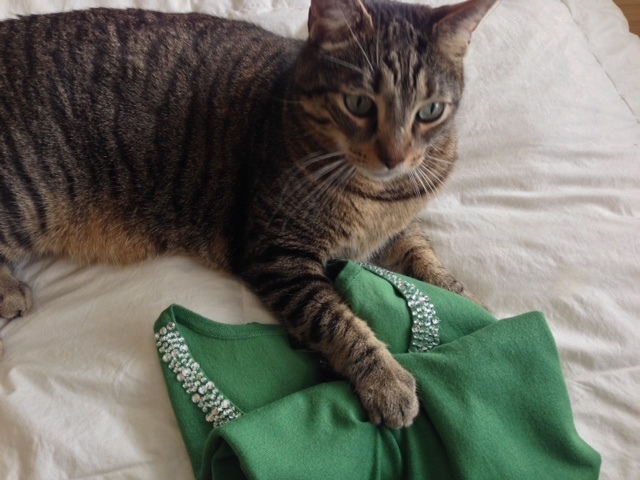 I’ve been there… getting pulls in my sweater courtesy of Christmas. What I love most about reading on my iPad is being able to read in the dark. I always read in bed at night and hated having to get up to turn the light off. But I do like to flip real pages every once in a while for a more refined experience 🙂 hah. Yay for no knee pain while running!! I prefer reading on my kindle, but mostly just for the convenience. It hurts a lot worse when I fall asleep reading though and drop the kindle on my face instead of a book.. not that it happens a lot or anything..
I’m glad your knee pain is probably NOT an injury. That’s a huge deal. Looks like your 12 miles was awesome!! I’m soo excited for your next half!!! Me too, so relieved! I can’t believe it’s less than a month away. I feel like I was just getting ready for the fort lauderdale half a couple of weeks ago! I have been NOT reading “The One I Left Behind” for months now. Someone from work let me borrow it and it’s just sitting on my nightstand two or three chapters in for months now.